Water Health Part 2 – Why Staying Hydrated Is Imporntant? The benefits of keeping the body hydrated are boundless. Water is the primary driver of efficient operation of most of your body’s normal physiological functions. Staying hydrated keeps all these basic “building block” functions of the body. This keeps your body running smoothly and efficiently. Water aids in proper digestion. It improves oxygen delivery to cells. Water helps the body filter and flush toxins. It transports nutrients and increases nutrient absorption. Water cushions and lubricates joints. Feeling stiff? Make sure you getting enough water. Sweating regulates body temperature. Can’t do that without water. Tired all the time? Proper hydration vastly improves your energy. Water helps generate the cellular energy that gives you power and performance. Want smooth skin? Over time, consuming water improves your skin’s appearance and reduces wrinkles. With all of the above benefits, you can see how relief from common ailments can be gained simply by providing your body with sufficient amounts of water. Think about it, without medication, you can see relief from stress, headaches, symptoms of asthma, allergies, arthritis, anxiety and depression…all by bolstering the flow of the body’s natural defenses to these ailments. Are you interested in a simple technique that helps the body’s metabolism operate efficiently and burn fat? From Your Body’s Many Cries for Water, by Dr. Fereydoon Batmanghelidj. Dr. Batmanghelidj has suggested that many times the body’s request for water is actually misinterpreted as hunger. I can speak from personal experience. Many times I felt hungry, it was really just thirst… after drinking a glass or two of water, the hunger is gone…and it lasts! I firmly believe the first step in any weight loss program begins with water. Want to know the first step in improving your cardiovascular (circulatory & heart) health? This study found that women who drank more than five glasses of water a day were 41% less likely to die from heart attack than those who drank less than two glasses. This was a 6 year study of more than 20,000 healthy men and women aged 38-100. It also found that the heart benefits were even greater in men. Want to improve your heart health? Start by staying hydrated. Let us help you take care of your liver and not cause permanent damage. StrongLiver can help you with both the “nutrition” and “healthy choices” front. It is a daily food supplement that provides support to the body’s natural ability for eliminating toxins. 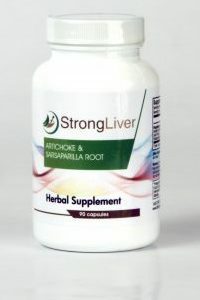 Not sure how StrongLiver can help you improve your well-being? See our FAQs on Healthy Choices, Healthy Living & Healthy Liver. Want more on how to improve your liver maintain your vitality? Stay tuned to this blog or sign up for our newsletter for information and tips on your liver health and enhancing your life.